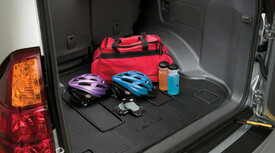 Allows you to carry nursery items, sports gear, beach gear - any gear - without worrying about making a mess. It's easy to clean. Just rinse and dry. 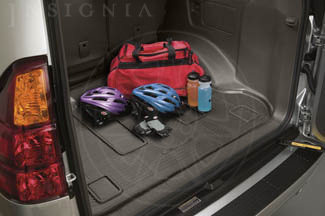 Features special texturing to match the bumper step pad and accommodation for cargo tie-down access and third row seats..